Looking to get away? This Mountain Retreat in the Blake Ranch of Eastern Oregon is ready to go! Enjoy the crisp clean forested air while spending your days outside riding the ATVs & snowmobiles, hunting or fishing the streams, rivers and lakes nearby. 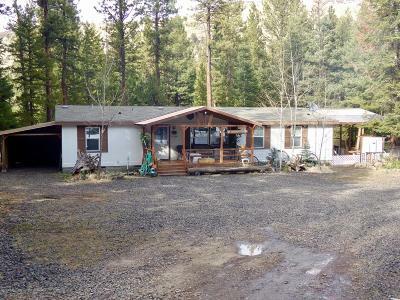 .92 acres includes a spacious 3 bedroom plus a den, 2 bath home, detached shop and a separate studio/bunk house for the guests.